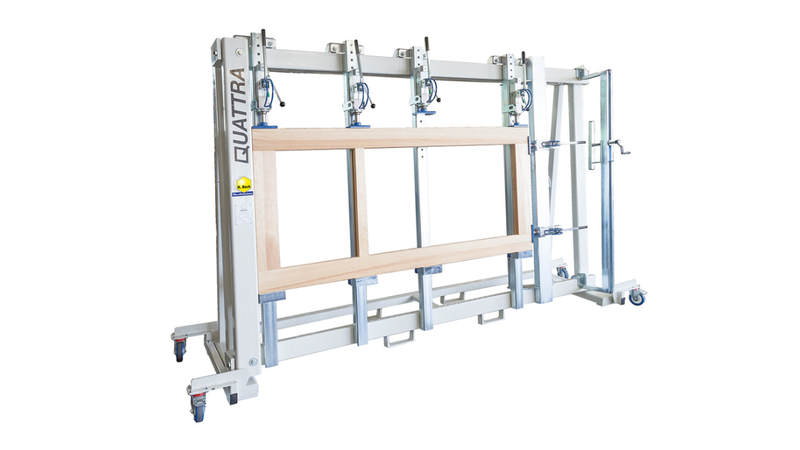 The gluing press QUATTRA was especially developed for pressing of frames and edges. QUATTRA consists of a stable framework made of thick-walled steel sections. Vertical and lateral pressure beams which can be displaced freely take up the handhydraulic press units and the related counter-bearings. The Version SK provide the operator more security and comfort because the pressing units are equiped with a special fixing and adjusting mechanism.